Back when she was a student, Carole Crawford – then Carole Teets – enjoyed her time in school. She enjoyed it so much, in fact, that she knew that she wanted to become an educator. It officially started on the education front on July 1, 1983 in Preston County. It officially will end June 29, 2018. The kind touch of a pair of educators helped lead Carole Crawford to a career in education that spanned 35 years, multiple counties, several schools and I think I can safely say touched thousands of lives. The final stamp on the conclusion came Tuesday when the elected Board of Education officially approved her stepping away from her current position as the Supervisor of Personnel for the Harrison County School system. Crawford filled the job for a year. Prior to that she spent 14 years at Bridgeport Middle School – all as an administrator and almost all of it as the principal. “This worked well for me to step away from the students for a year, but still have the ability to see the students and not got totally cold turkey from a situation I’ve known most of my life,” said Crawford. So why leave after one year on the job? “People say you’ll know when it’s a time, but it’s a myriad of things led by the fact my husband (Bill) and I had a plan and he retired in October,” said Crawford. “I thought I would retire in July of this year and as the year went on I kept thinking of how much I liked working for (Harrison County Superintendent of Schools) Dr. (Mark) Manchin,” said Crawford. “It was about four weeks ago I said to myself, ‘no, my plan was to retire.’ Most people around me know I stick to my plans. Let me assure you that Manchin or anyone else tried to push her out the door. 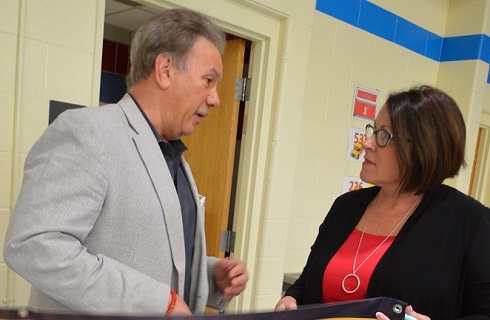 In fact, Crawford said she’d like doing something – what she’s not sure – in the education realm with Dr. Manchin and (Assistant Superintendent) Dr. (Donna) Hage in the years ahead. Manchin, her boss, would almost certainly be agreeable to that. While happy for her to start the next phase of her life, Manchin said it is tough losing someone so good at what they do. In 1983, it may have seemed like a long shot she’d retire in Harrison County. Crawford, who is from Delaware, grew up in Preston County and started her teaching career there. From there, she began a migration that eventually took her south of Preston County and into Harrison County where she prospered at multiple places. When she got to Harrison County she taught at Central High School and encountered three young men that made things enjoyable. Those three youngsters – Rick Rock, Sammy Gallo and Basil Lucas – today are successful in their respective careers by anyone’s standards. “That whole group, with those three often leading the way, really made me enjoy things. I’ve had kids like them at every stop,” said Crawford. The stops also included Shinnston Intermediate, Broadway, Big Elm, Norwood and then to Bridgeport Middle School. 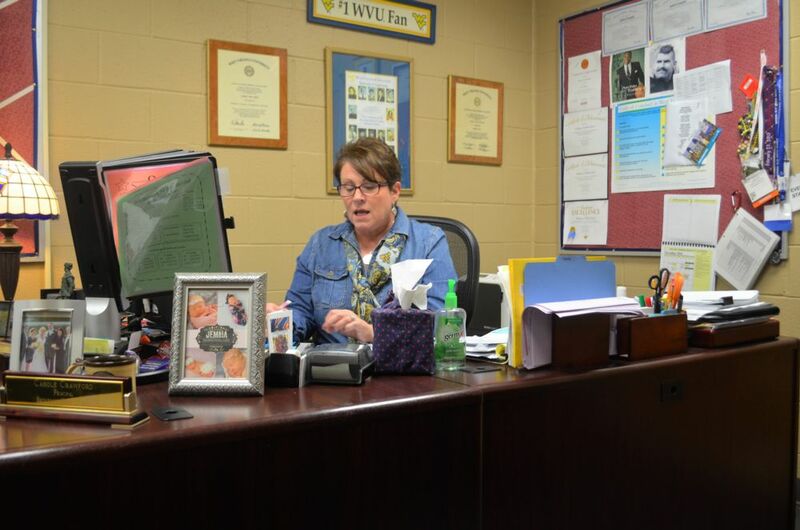 Her first administrative gig was actually one based on an administrative leave of absence at Big Elm Elementary before her she got into the administrative roles in Bridgeport, including a one-year stint as assistant principal for the Braves. “Those years at Bridgeport Middle School were special,” said Crawford. “There’s no comparison in the community support you get there. There’s a level of support at every school, but what stood out at Bridgeport Middle is if my husband and I were out somewhere you noticed the entire community was covered in red, which I always found unique. 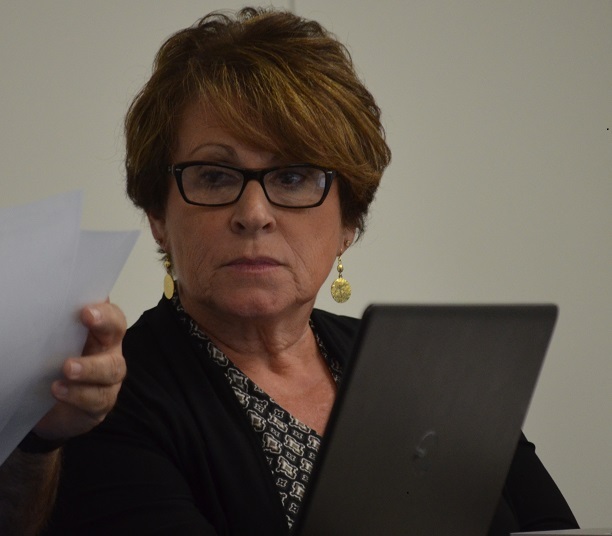 Crawford, like her former next door administrative neighbor who is also retiring, Mark DeFazio at Bridgeport High, says she learned early on you just try to do the right thing and let the consequences be whatever they are going to be. “I read what Mr. DeFazio said recently about stepping down and so much of it rang true. You start out hoping you’re going to make everyone happy and sign up with that mindset, but realize you can only do what you believe is right and in the best interest of the students. The rest takes care of itself,” she said. She also said, like DeFazio, the sacrifices in time generally came at the expense of her family. Crawford and her husband can soon spend time with their son Adam, an emergency room physician in Charleston who is married to the former Ali Dieringer of Bridgeport as well as their son Tyler, who works in Bridgeport at Citynet and whose wife Olivia teachers at Simpson Elementary. Carole Crawford mattered. Just check with the thousands of kids that sat in her classroom or were under her leadership as principal or her co-workers at the Harrison County School Board of Education. Most will tell you the same thing. She made a difference. Enjoy your retirement Mrs. Crawford. You’ve earned it. 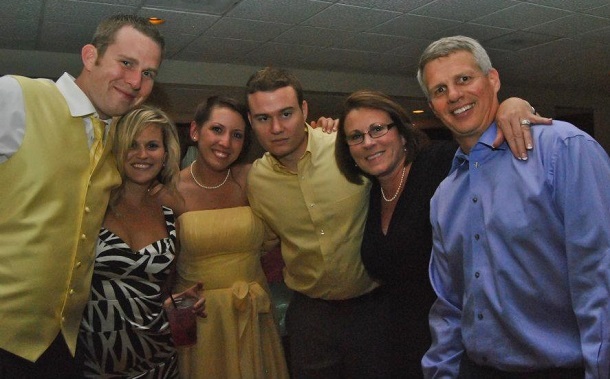 Editor's Note: Top photo shows Carole Crawford, far left, with her family - a big reason for stepping down. 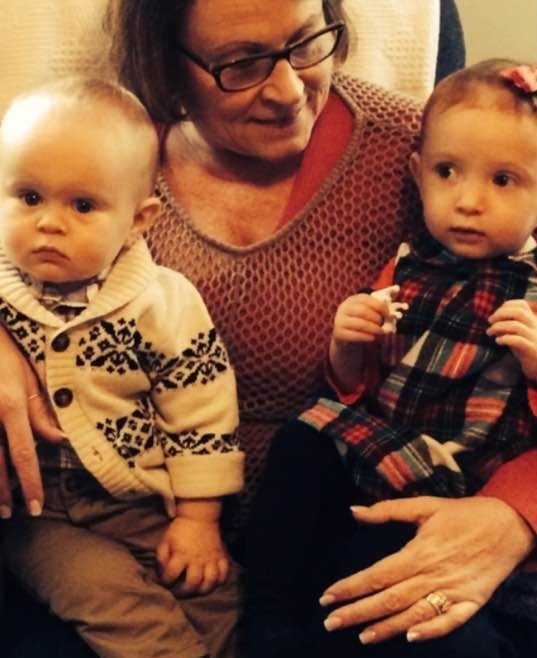 And the second photo, with her grandchildren, show two more reasons. In the third pictures, she's shown with her boss, Dr. Mark Manchin at the school board, while she gets work done at her former job at Bridgeport Middle School in the fourth photo. Below, Crawford is shown during a Harrison County Board of Education meeting.